Great Options for Commercial Truck Insurance in Texas Are One Call or Click Away! 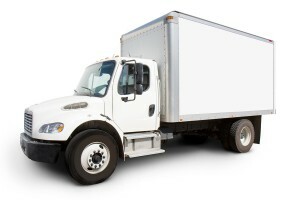 Need better options for Commercial Truck Insurance in Texas? If so you have found the right company! Call 800-998-0662 to speak with the licensed representatives of Pathway Insurance when you need any type of Commercial Truck Insurance in Texas. Pathway Insurance is leading Independent Insurance Agency offering all types of Commercial Truck Insurance in Texas, Minnesota, Florida, Georgia, Tennessee, Kentucky, Ohio, Indiana, Michigan, and Maryland Seven days per week. Use our Chat system to request quotes 7 days per week. You can also use our convenient online rate quote submission system for commercial truck insurance 24 hours per day when you click on Texas Commercial Truck Insurance. How Cheap Commercial Truck Insurance in Texas Can End Up Costing You More! You look online, you watch television, and there are constant messages of “our rates are the cheapest”. While it may seem like a good idea to go with the Cheapest Truck Insurance in Texas, what do you really get? Cheap Texas Truck Insurance may leave you with gaps in coverage. These gaps may end up costing you significantly more money in the long run compared to any short term savings. How do you know what insurance is the right amount? 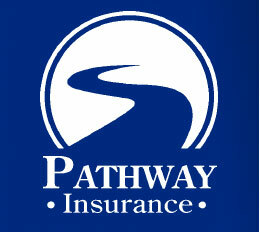 One of the well-versed agents at Pathway Insurance can help you find the coverage you need for a great price. Knowing Your Texas Truck Insurance Options Can Save You Financially! Skipping certain types of insurance coverage could have long reaching financial circumstances that could change everything in a blink of an eye. For example Johnny is an independent owner operator and he decides to skip the uninsured and underinsured motorist coverage on his Texas Owner Operator Insurance to save money. On a Tuesday afternoon Brianna Smith is busy texting her boyfriend Brandon as she is driving on Interstate 20 west of Fort Worth. Brianna drifts into the next lane and makes impact with the front tire of Johnny’s Tractor Trailer. Johnny could not avoid Brianna’s Ford Fusion but he does his best to not crush Brianna with his truck by cutting his wheel sharply to the right. The result of Johnny’s quick thinking is that Brianna avoids a serious injury or worse. However Johnny’s truck goes down a small culvert and tips over on its side. Johnny sustains a severe back injury from the accident and becomes partially disabled. Brianna’s car insurance company quickly offers Johnny her $30,000 policy limit for bodily injury after their accident investigation. The big issue for Johnny is that $30,000 is not enough money to cover his out of pocket medical bills and loss of income due to the fact he can’t earn a living driving a truck anymore. Johnny would be in a much better situation financially if he had purchased $1 million of uninsured and underinsured motorist coverage that matched his liability limits he was required to carry. Commercial Truck Insurance Texas – Don’t Skip Uninsured Motorist Coverage! As the above claim situation clearly highlights, it’s not really a good idea to go without uninsured and underinsured motorist coverage. Some of the largest claims paid by insurance companies are because of uninsured and underinsured motorist claims. It is estimated that one out of every five drivers on the road in Texas do not have insurance! Skipping uninsured and underinsured motorist coverage is not a good idea in our opinion for any company in need of commercial insurance. However the specific type of coverage you need for your company really depends on a number of factors including what type of business activities you are involved in. For example if you own a sand and gravel company insuring three dump trucks used for hauling, it is very unlikely you would have no need to purchase something called On Hook Coverage, or Garage Keepers Coverage. However if you own a garage offering towing services, or your business specializes in towing operations, Texas on Hook Insurance and Garage Keepers Insurance is something you may want to include in your commercial insurance package. In reality there may be dozens of different endorsements and coverage enhancements that you may want to consider to protect yourself and your business financially. Liability Insurance Coverage– Covers property damage and bodily injury you might be legally liable to pay due to accidents. For instance let’s assume your dump truck flattens a brand new Tesla Model S that was just driven off the showroom floor and you are at fault – Your bill? $205,820 paid by your property damage limit. Or let’s assume you were responding to a text taking your eye of the road for only 1 second and you Tractor smashes a minivan full of kids and the injuries and pain and suffering amount to $2 Million? Bodily injury will pay this claim up to your available limit. What if you only bought $1 million of liability coverage in the injury case? You will be responsible for paying $1 million yourself. Also keep in mind there might be mandatory coverage required by the state or federal agencies dependent upon your specific operations. Uninsured & Underinsured Motorist Coverage – Coverage for injuries policyholders or their employees are legally entitled to recover from other parties not insured or underinsured. One client of our company collected nearly $800,000 when a teen driver slammed into the back of their work truck at 45 miles per hour causing her to become permanently disabled. Medical Payments Coverage – Similar to medical payments coverage on car insurance policies, medical payments coverage can offer compensation for injuries to you or drivers you employ. For example: You are a moving company and a teenage driver cuts you off causing you to run your truck in a ditch and you break your arm in the crash – The medical bill amounts to $5,000. If you have $5,000 of medical payment coverage your policy will pay the bill in full without involving your health insurance. Physical Damage Coverage – Coverage in the event of accidental loss or damage to your insured vehicles. Collision, comprehensive, and specified causes of loss coverage forms available. It’s important to understand the difference between comprehensive, and specified causes of loss as there is a difference. One of our agents can help you understand the difference. A deductible will apply for any claims or losses. Motor Truck Cargo insurance – Coverage for freight hauled in the event of an accident, theft, or fire. Additionally debris removal may be provided for loads dumped on roadways or waterways. Motor truck cargo coverage will pay for damage or destruction to the freight carried up to policy limit. A deductible will apply for any losses and there are terms and conditions for coverage to apply. Garage Keepers Legal Liability – Coverage specifically designed for tow truck operations in the event a tow company is legally obligated to cover damages for a non-owned vehicle due to collision, fire, theft, explosion or vandalism while said vehicle is being towed or hauled. In other states this coverage may be called On- Hook Insurance. You choose the amount of coverage you desire and a deductible may apply. Storage Location Insurance – Provides coverage to customer vehicles while in your care, custody, and control in the event vehicles are damaged by fire, theft, vandalism, or collision while you are storing them and a deductible may apply. Protecting You and Your Business with the Right Texas Commercial Truck Insurance! Our agents can help you find the coverage you feel is prudent for your business no matter what type of Texas Commercial Auto Insurance you need. Call us at 800-998-0662 or click on Commercial Truck Insurance Quotes Texas to send us your information online. We offer comprehensive insurance solutions for every type of trucking operation throughout the state of Texas.